Three Gun Shoot certification is the best all around experience you can get, you will get a great taste of three of the best firearms to choose from. You will be certified in the safe use, and live firing of the best three guns in the industry. All students pay their own ammo, and range fees. 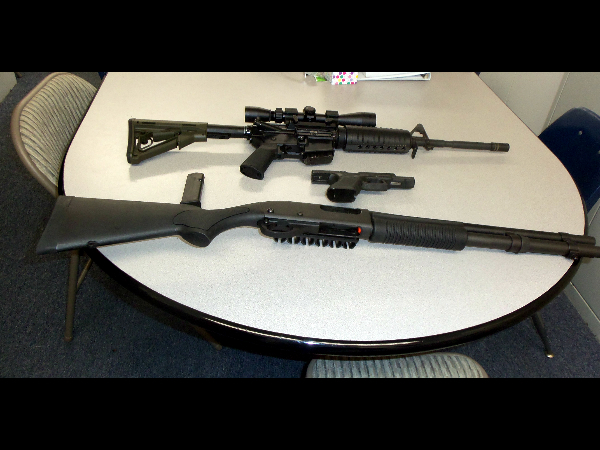 Glock Semi-automatic Pistol, AR-15 Rifle, Mossberg, or Remington Shotgun. The objective of this course is to allow the student to experience three top of the line firearms to see which one will be the main focus once the choice tto purchase has been made. Just think about it : AR-15 Rifle either 223 caliber, or 5.56 NATO war round, with either a custom scope, or Holograph sight. Glock Semi-auto with tritium night sights, Mossberg, or Remingtom Tactical Shotgun. The length of the course is 7hours. 3 hours in the class and up to 4 hours at the range. The best in the west ! For more information on registration, and schedules, please call us at 650-315-3665. All payments are either made in the store or on the phone.